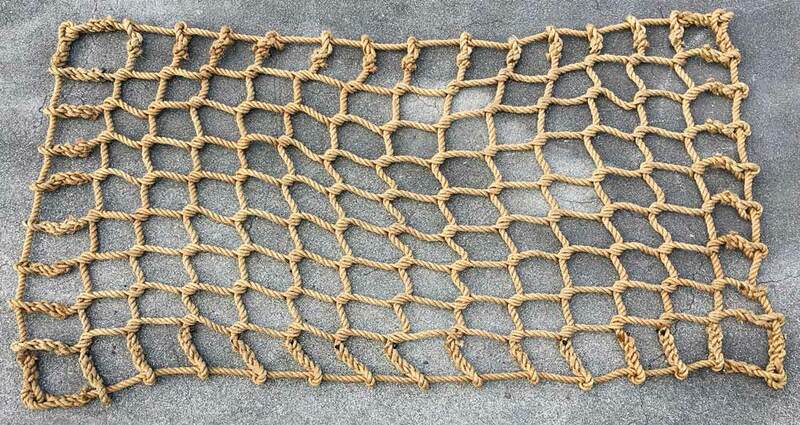 Miami Cordage fabricates custom nets for a variety of applications, ranging from industrial netting, safety and fall protection nets, man overboard nets, theme nets used for decoration, netting for bridges and nets for cargo control. Our nets are custom crafted here in our Miami warehouse to meet your exact specifications, we have available a wide range of materials and custom fabrication designs. Our company has been fabricating custom nets for the past 30 years for the U.S. Military and Coast Guards around the world. There are several different options available to meet your needs, below is basic information to help get you started. Cargo and lifting nets are are used to load and unload cargo, these types of lifting nets have a peripheral rope that surrounds the net, lifting accessories can be added to the peripheral rope, including hooks and master links. When the load is tensions, the peripheral rope draws the net together forming a balanced load.